Our Dynatest Dynamometer is used to determine exact muscle strength in the hands in rheumatic disorders and after sport injuries and to carry out effective training. 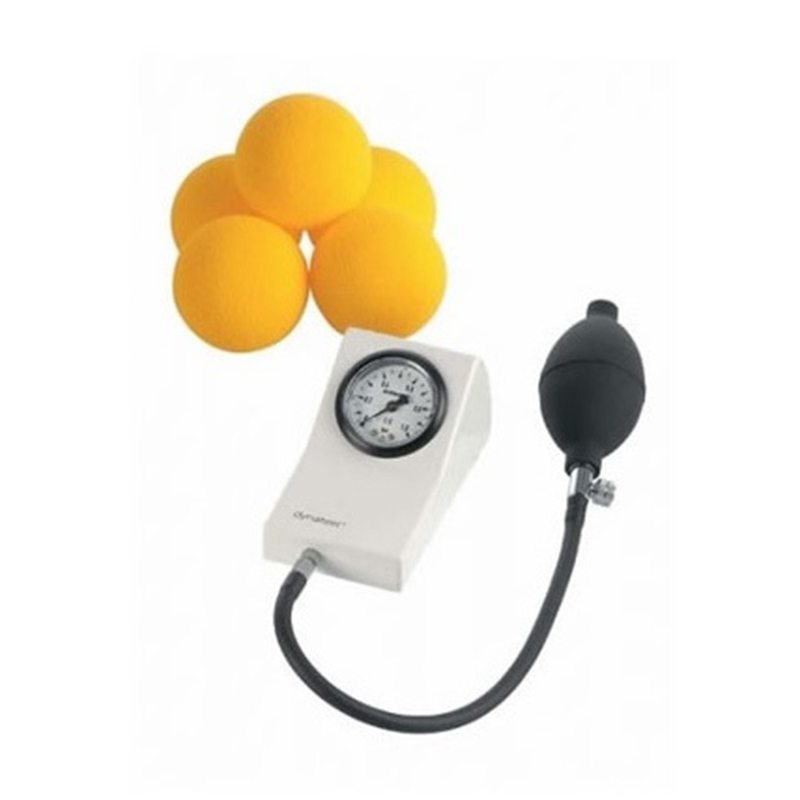 The conveniently sized dynamometer is very sturdy and ideally suited for frequent use in office practices and hospitals. Movement therapy is supported by exercise instructions using the 5 yellow foam softballs.